As the great Eduardo De Filippo used to say: “Napule … è ‘nu teatro antico, siempre apierto” (Naples is an ancient theater that is always open) in which “’O panurama è ‘na scenografia” (The panorama is a scenography). Who has been there and knows it, can confirm that it is exactly like this: a picturesque reality that is designed every day on breathtaking scenery. And the seafront, the most famous and loved scenario of Naples, is one of the places where the liveliness and energy of the Neapolitan people culminate in a swarm of events, festivals and music. The seafront of Naples, besides representing one of the most suggestive and fascinating landscapes of the city, is an important gathering place for Neapolitan people who meet there promptly to celebrate various kinds of occasions and take part in the most varied events. Among these can be traced sports, culinary, cultural, musical and cinematographic events of national and international public interest. One can well imagine how the gentle sea breeze and the pleasant view motivate a large number of people to run, skate or ride a bike along the Naples seafront. But this is not all that the Neapolitan coast has to offer to sports fans. The wide gulf is suitable, for example, to regattas and sailing championships, which are held regularly throughout the year. In this regard, the city of Naples was also, for a couple of editions in a row, host of the America's Cup, the most prestigious existing sailing tournament, as well as the oldest competition in the world of sport still practiced. On this occasion, there were also over 50,000 people present on the waterfront to attend the event. Naples waterfront has also been the backdrop for many other important sporting events, such as: the Davis Cup, the most important world men's tennis team competition, and the Giro d'Italia, a stage cycling race with a course extends between the main Italian cities. Moreover, the romantic Via Caracciolo, has constituted for several editions also a fundamental trait of the marathon route organized in collaboration with the Municipality of Naples, to which over 7,000 runners have joined. Along the coast of the capital of fine cuisine, there is no shortage of culinary events and festivals dedicated expecially to the gluttons. First of all the famous Napoli Pizza Village, an unmissable event that is renewed every year in the spectacular setting of the gulf. The event brings together all the biggest names in Neapolitan pizza art and is divided into stands where you can buy and taste the best pizzas in the world. Among the many activities and various forms of entertainment at Napoli Pizza Village it is possible to participate in free concerts held by music and entertainment stars, and take part in different kinds of workshops. Speaking of pizza, the combination with the waterfront also evokes a well-known, although relatively recent, episode that has, in some ways, marked history. This is the visit of Pope Francis to Naples in 2015, during which, while the Pope greeted the citizens from his popemobile, a pizza maker approached him and offered him a pizza, which he gladly accepted. The city of Naples and its inhabitants need very little to light up: sometimes even a melody is enough and the promenade turns into a wonderful stage. Over the years this area has witnessed numerous musical events of various types: from actual concerts to open-air discos (also in the "Silent" style); from couples dancing in the moonlight, to flash mobs like the one made in memory of Pino Daniele, in which a simple grand piano and an incredible multitude of people created a so warm and familiar atmosphere even for a cold evening of January. The Naples waterfront offers a multitude of reasons to desire to stay in the area. 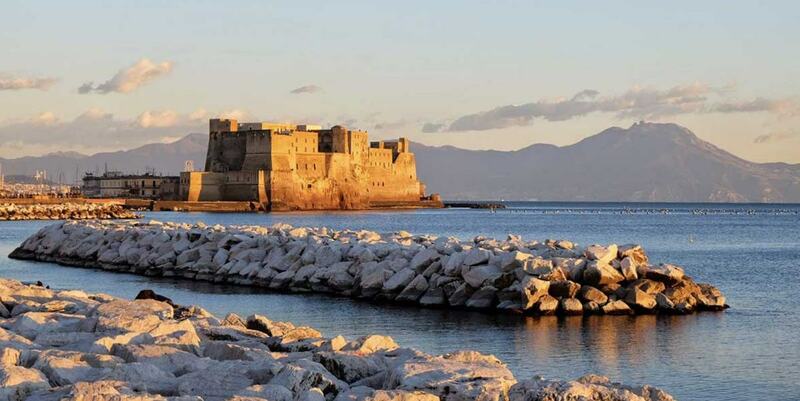 It is advisable, for a tourist who decides to visit Naples, to stay in a B&B like San Filippo which, given its strategic position, allows you to stay a step away from the vibrant energy and romantic charm of this magical place and to not waste any chance to learn about the many facets of the most beautiful face in Naples.